Packing : Food Grade Silver Coated Alumunium Bottels And As Per Client Requirements.Our Rose Geranium Oil is extracted from the plant Pelargonium Graveolens and belongs to the Geraniaceae family. The Rose Geranium Oil is extremely rejuvenating and relaxing. Manufactured from pure aromatherapy grade Geranium essential oil, this grade oil is extremely balancing, uplifting and calming essential oil that helps dissolving nervous tension, fear and sadness. 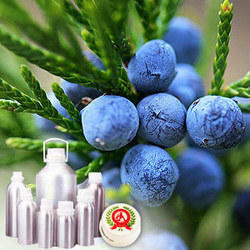 Rosemary is an essential oil which is derived from Rosemarinus officinalis. The oil has a strong aroma that is balancing, invigorating, and revitalizing. It supports the circulatory, nervous and muscular systems, and it has been used for centuries to promote healthy hair and skin. Blending: Lavender. Oils we like to blend with Rosemary are Basil, Cedarwood, Frankincense, Geranium, Ginger, Grapefruit, Lemongrass, Lime, Mandarin, Orange, Peppermint and Tangerine. Applications: Analgesic, Antidepressant, Antirheumatic, Antiseptic, Antispasmodic, Stimulant, anti-parasitical, anti-fungal ,antibacterial, Room freshners etc. Sage Essential Oil is obtained by steam distillation of leaves from sage tree. The oil is well known in the world of cosmetic, specially in skin care. It is also used as a flavouring and antioxidant in cheeses, pickles, vegetables, processed foods, and beverages. Sage oil is attributed to have various theraputic properties and are used worldwide. Belnding: Lavender, Bergamot, Lemon, Rosemary and other oils. Applications: Tonic, Mental Stimulant, Expectorant, Antimicrobial, Antiseptic, Cosmetic, Lotion and more. Packing: Food grade silver coated alumunium bottles and as per client's requirement.Sage Essential Oil is obtained by steam distillation of leaves from sage tree. 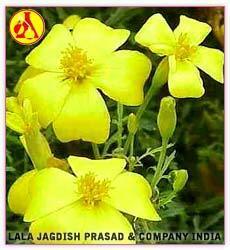 The oil is well known in the world of cosmetic, specially in skin care. 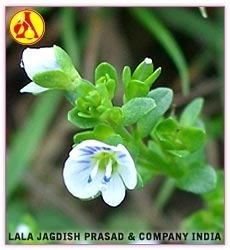 It is also used as a flavouring and antioxidant in cheeses, pickles, vegetables, processed foods, and beverages. Sage oil is attributed to have various theraputic properties and are used worldwide. Sandalwood Oil generally finds application in perfumes, cosmetics, sacred unguents etc. This Sandalwood Essential Oil has sweet characteristic, woody odor and hence is employed in the fragrance industry. It is known for its therapeutic property and also promotes hydration and moisture thus preventing wrinkles. The pure and organic sandalwood oil is also effective for reliving itching & inflation of the skin and also prevents skin from forming ugly scars and fights dry eczema and skin cancer. The sandalwood oil is ideal to be used in cases of depression, hectic daily lifestyles and states of fear, stress, nervousness and anxiety. Packing : Food Grade Silver Coated Alumunium Bottels And As Per Client Requirements.Sandalwood Oil generally finds application in perfumes, cosmetics, sacred unguents etc. This Sandalwood Essential Oil has sweet characteristic, woody odor and hence is employed in the fragrance industry. It is known for its therapeutic property and also promotes hydration and moisture thus preventing wrinkles. The pure and organic sandalwood oil is also effective for reliving itching & inflation of the skin and also prevents skin from forming ugly scars and fights dry eczema and skin cancer. The sandalwood oil is ideal to be used in cases of depression, hectic daily lifestyles and states of fear, stress, nervousness and anxiety. Spearmint (Mentha spicata) has a minty, slightly fruity scent, softer than peppermint. A rich antioxidant, spearmint helps support the respiratory and nervous systems * and may help open and release emotional blocks leading to a sense of balance and well-being. 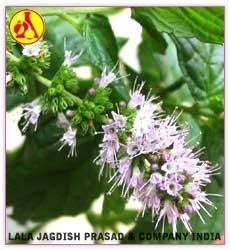 Spearmint may also be used to enhance the flavor of food. Spikenard oil - Select Green - Nardostachys jatamansi - wild harvested from Nepal. Naturally organic. Spikenard oil's rich, mysterious, earthy constituents mingle with a soft warm spicyness; a balm to the heart and soul. It captures in itself something of the spirit of sacred places of devotion for countless centuries. The Himalayan ranges of Nepal, India and Burma provide the natural habitat for this botancial gem, which has been revered both in the east and west for many centuries. 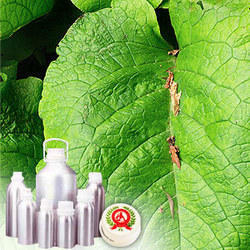 Sugandh Mantri essential oil is known for high purity and owing to its mesmerizing aroma it is used for aromatherapy. Obtained from crushed roots of gandhi tree, it is light yellow to yellowish brown in color. It has therapeutic effect and is also used in perfumery compounds, industries, attar, hina etc.Sugandh Mantri essential oil is known for high purity and owing to its mesmerizing aroma it is used for aromatherapy. 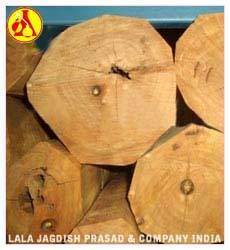 Obtained from crushed roots of gandhi tree, it is light yellow to yellowish brown in color. 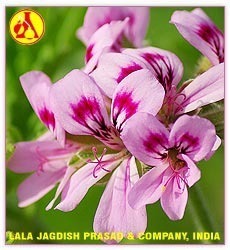 It has therapeutic effect and is also used in perfumery compounds, tobacco industries, attar, hina etc. Turmeric is a perennial plant with roots or tubers. It is a deep orange on the inside and has roots about 2 feet long. Tangerine essential is extracted by using cold press method from the rind of the tangerine. The oil helps to eliminate emotional confusion and increase ones sense of humor and well-being. 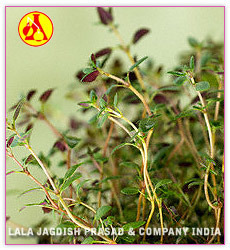 it is also known to improve circulation and strengthen digestive system. In addition, Tangerine Essential Oil can be beneficial to the skin, thought to help stretch marks and have a positive effect on cellulite. Applications: Antispasmodic, Carminative, Digestive, Diuretic, Sedative, Stimulant (digestive and lymphatic), tonic, Perfumes, Soaps etc. Packing: Food grade silver coated alumunium bottles and as per client's requirement.Tangerine essential is extracted by using cold press method from the rind of the tangerine. The oil helps to eliminate emotional confusion and increase ones sense of humor and well-being. 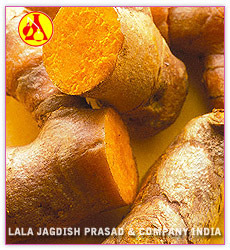 it is also known to improve circulation and strengthen digestive system. In addition, Tangerine Essential Oil can be beneficial to the skin, thought to help stretch marks and have a positive effect on cellulite. Tea tree oil is a yellow- or green-tinged essential oil with a fresh amphoraceous odor. It is extracted from the leaves of the tree Melaleuca alternifolia which is native to the northeast coast of New South Wales, Australia. The oil is claimed to have beneficial cosmetic and medical properties (including antiseptic and antifungal action). Australian Aborigines have used oil extracted from the tree's needles for hundreds of years. 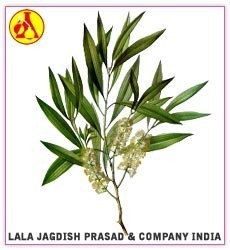 Currently, tea tree oil is obtained by steam distillation of the leaves. Tagetes Essential Oil, also known as marigold is an essential oil that is obtained by steam distillation from the fresh flowering herb and also an absolute (and concrete) by solvent extraction from the flowering herb. It blends well with many essential oils like clary sage, lavender, jasmine, bergamot and other citrus oils in very small percentages. It is extremely beneficial in cases of skin complaints, menstrual irregularities, hemorrhoids, conjunctivitis, varicose veins and poor eyesight etc. 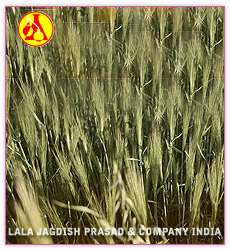 It is also used for flavoring and in most major food categories, including alcoholic and soft drinks. Application - Moderation, Perfumery etc.. Packing : Food Grade Silver Coated Alumunium Bottels And As Per Client Requirements.Tagetes Essential Oil, also known as marigold is an essential oil that is obtained by steam distillation from the fresh flowering herb and also an absolute (and concrete) by solvent extraction from the flowering herb. It blends well with many essential oils like clary sage, lavender, jasmine, bergamot and other citrus oils in very small percentages. It is extremely beneficial in cases of skin complaints, menstrual irregularities, hemorrhoids, conjunctivitis, varicose veins and poor eyesight etc. It is also used for flavoring tobacco and in most major food categories, including alcoholic and soft drinks. Sugandh Kokila is a large-sized evergreen tree species native to the tropical Himalayan regions of Nepal. It grows naturally in both the hills and plains up to an altitude of 1200 m and is known locally by the common name Gondsoroi . The wood of C. glaucescens imparts an oil rich in safrole, myristicin and elemicin. Almost all parts of the plants are aromatic. 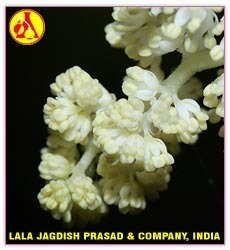 Berries of this plant also yield this Sugandha Kokila oil of high commercial value.